This UNESCO World Heritage Site was once a bustling Roman city, with a population of 11,000 people. That all changed when Mount Vesuvius erupted in 79 AD, burying the city and its inhabitants under four to six meters of ash. 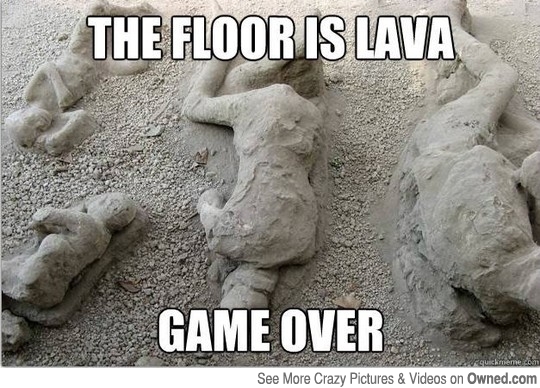 This basically froze the victims in time, their bodies sealed in a plaster-like cast, in the position they died. The site wasn’t rediscovered until 1599 and has become a popular tourist attraction. The city’s tragic story was used for the 2014 historical disaster film Pompeii, although it was generally panned by critics and audiences. Amusement parks are supposed to be sites of happiness and thrills, but many have become deserted wastelands around the world, due to various issues. For example, Six Flags New Orleans was flooded by Hurricane Katrina in 2005 and has never reopened. Even the Disney company isn’t immune to park abandonments. Discovery Island (a wildlife viewing resort) and the adjacent River Country water park at Disney World were closed in 1999 and 2001, respectively. The reasoning for both closures isn`t clear, with speculation ranging from a change in Florida laws to the discovery of harmful organisms. 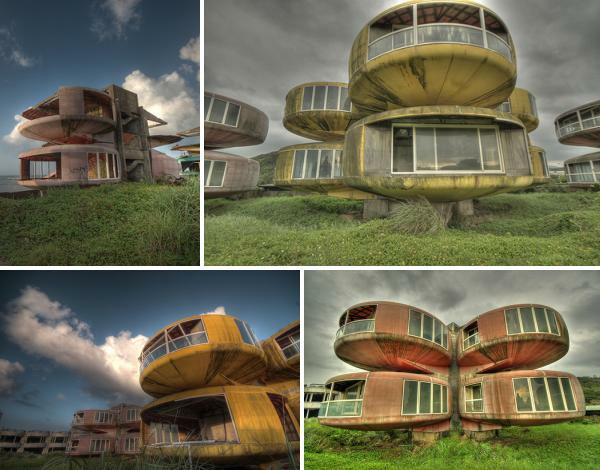 Originally intended to be a luxury resort, featuring futuristic living pods (sometimes referred to as UFO houses), the project was never completed due to deaths during the construction process and funds for the development running dry. Rumors persist in the areas that surround Sanzhi, that the site is now haunted by those who died trying to build the resort. After remaining dormant for nearly 30 years, the pods were demolished between 2008 and 2010 and there are plans to build a new resort and water park where the pods once stood. While most ghost towns go bust because of financial reasons, the French village of Oradour-sur-Glane had a much more ominous fate. On June 10, 1944, German soldiers attacked the site, killing 642 of the town’s 663 people. This included men who were shot in their legs so they would perish slower and women and children who were gunned down while trying to escape from a church. The ruins of the original town have now become a memorial site, while a second village was built nearby, following the end of World War II. The Chernobyl nuclear disaster and following contamination made the young city of Pripyat, where the Chernobyl workers lived, virtually uninhabitable. Pripyat was only 16 years old at the time of the tragedy, when all of its 45,000 to 50,000 population were forced to evacuate. Some of the most disturbing images from Pripyat are those of its amusement park, which was only open for a few hours before the evacuation, as the accident happened April 26, 1986, with the park scheduled to open to the public on May 1, 1986. Interestingly, a number of ghost towns have become popular sites for filming. This includes Real de Catorce, Mexico (The Mexican, starring Brad Pitt and Julia Roberts) and Craco, Italy (The Passion of the Christ, directed by Mel Gibson). This entry was posted in Shots & Shooters and tagged Chernobyl Nuclear Disaster, cinnamon sugar rim, Craco, Deserted Amusement Parks, Devil’s Fire, Discovery Island, Disney World, Ghost Towns, Mount Vesuvius, Oradour-sur-Glane, Pompeii, Pripyat, Real de Catorce, Sanzhi, Shooter, Six Flags New Orleans, UFO Houses by Daniel Wilson. Bookmark the permalink.